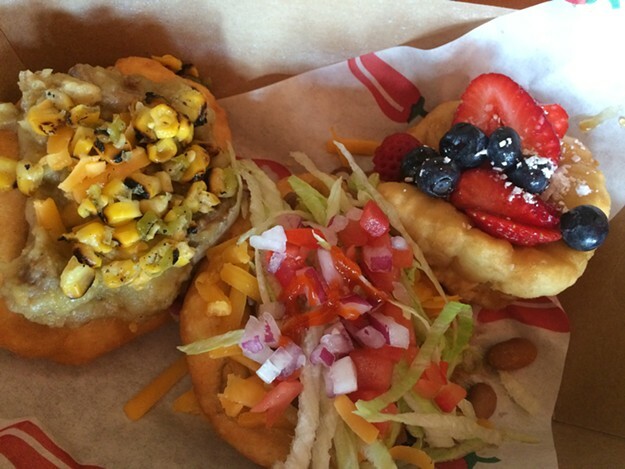 The Lodge features fry bread tacos from Rocko’s Tacos, plus Americana food from Lovely’s. 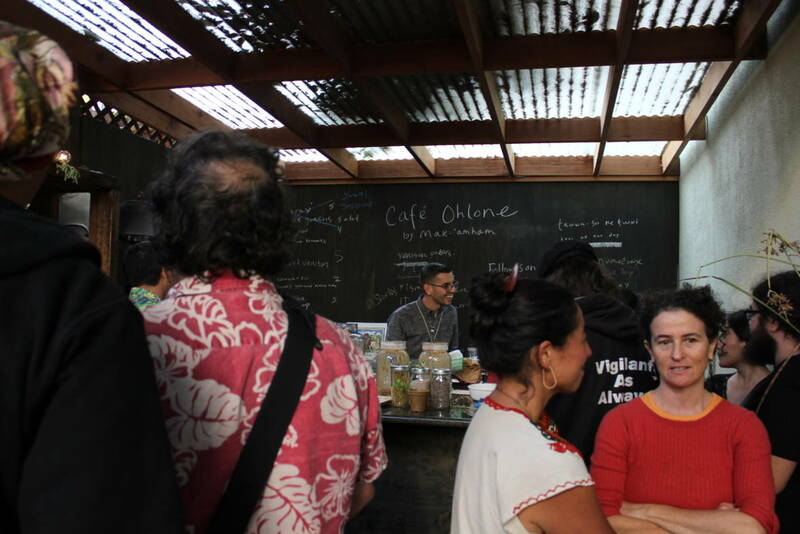 Cafe Ohlone, a new cafe featuring native Ohlone cuisine, has been hosting preview tastings in Berkeley as it moves toward regular hours and a grand opening later this fall. 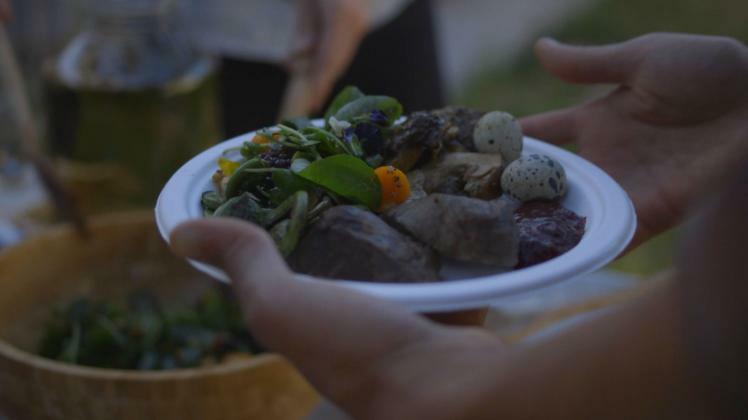 At a recent tasting, Vincent Medina and partner Louis Trevino served up Ohlone dishes including acorn bisque, elderberry sorrel salad and soft-boiled quail eggs with bayshore salt. [tribal member Johnny] Dominguez said with a smile. Bayshore salt? As in the salt from our bay? I thought our stuff wasn’t very good. 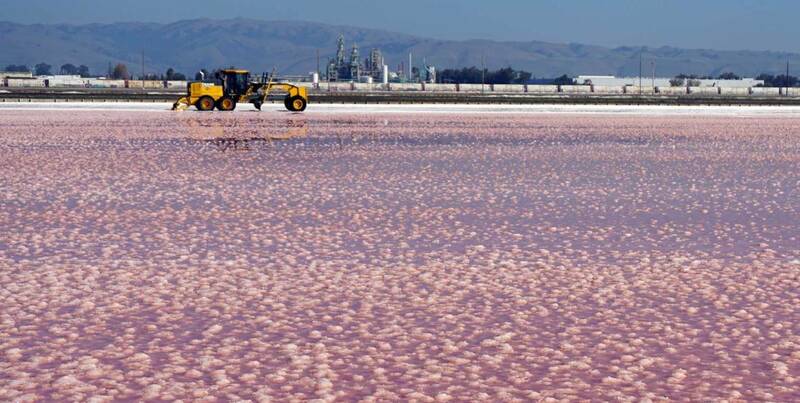 What Are Those Weird, Pink Ponds in San Francisco Bay? The answer might be sitting on your kitchen table right now. Believe it or not, the Bay Area may not be what it is today without its salt. Harvesting salt from the Bay dates back to Native American groups like the Ohlone, but demand really picked up in the 1850s. Without refrigeration, salt was how people preserved food. “It was almost worth its weight in gold,” he says. The Bay was probably way cleaner in the 1850’s, before people started living around it and dumping all the runoff- gasoline, Roundup, garbage, etc. into the bay. GIven how cheap salt is sold these days, I have a hard time thinking they would do much ‘purification’ before selling. re Bevri I think it’s still the only Georgian in the Bay Area. 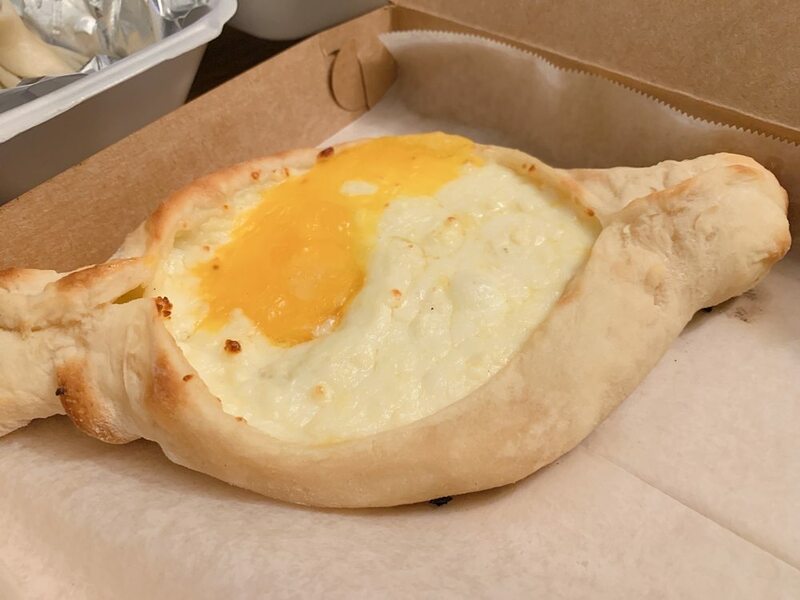 I was looking around for adjaruli (acharuli) khachapuri since I became instantly addicted to it in late September when I had it at Kargigogo in Portland. I must say I’m a bit thrown by the price though. $18 for a cheese pastry seems high. But then again I’m noticing that all the prepared food prices seem to have shot up since our last SFBA visit four years ago. It was never a cheap place to dine out but… and of course once you add in our horrible exchange, that cheese pastry, however large, rings in at around CAD $23. Ouch. For comparison it is $12 (CAD $16) at Kargigogo and (wait for it) $7 at our local Georgian outlet in Richmond BC, Lamajoun. The latter two are both dinner plate size, BTW. Not any more. 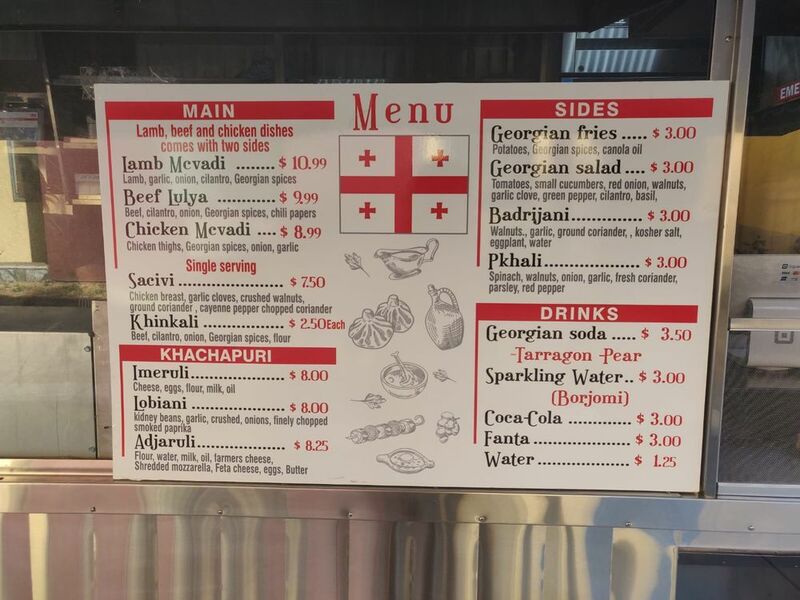 Just a few months Bevri opened, there’s now another Georgian food truck just south of Palo Alto in Mountain View. Adjaruli at $8.25. Haven’t tried. But price is certainly not bad. There is a guam-anian place in Fremont, Booniepepper. 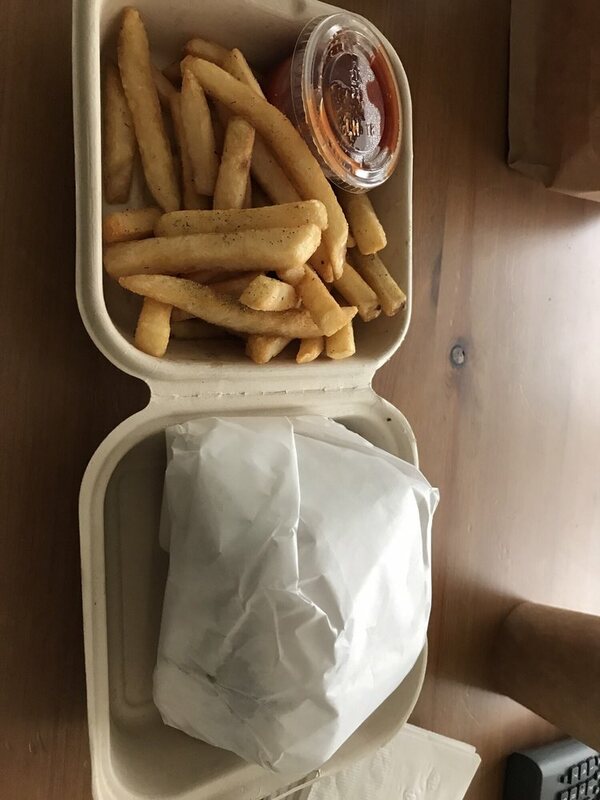 It’s causal counter lunch, reminds me of L&L BBQ ( perhaps because they are both small islands ), and I thought it was interesting but not worth recommending. Looks like it’s Palo Alto for a mini-Georgian boom! That $8.25 price is a lot more realistic, even with the exchange! Thank you. The first Ohlone restaurant in the Bay Area is a celebration of indigenous, precolonial ingredients—and a living culture. 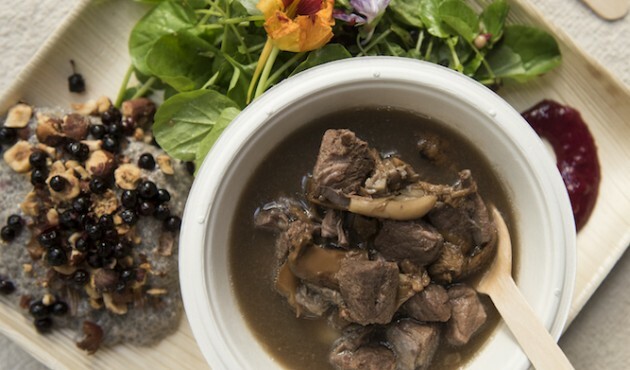 When Café Ohlone starts its regular hours in early 2019, it will be the first restaurant of its kind in the Bay Area—the only place where diners can enjoy acorn bread, venison stew, and other traditional Ohlone dishes while sipping teas made with local herbs such as yerba buena and black sage. For now, the café is hosting weekly pop-ups to give eager customers a preview of things to come. During one October session, the $20 tasting menu included cold acorn soup—velvety smooth and surprisingly refreshing—and a spongy, squishy bread made from chia seeds. There were hazelnuts served two ways: roasted and sprinkled with salt from San Francisco Bay, and ground into a luxurious peanut butter–like paste. Many of the ingredients for the October pop-up were gathered by hand: salt from the bay; purple yerba buena from Halkin, the name Ohlones use for a portion of the East Bay encompassing San Leandro and parts of Oakland; and valley acorns from Saklan, the area north of the Berkeley Hills. 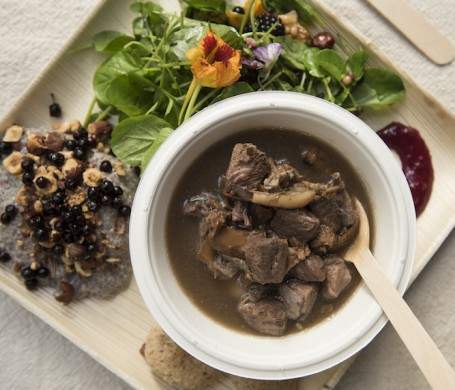 A tasting plate at one of Café Ohlone’s preview pop-ups, highlighted by a bowl of venison stew. Thanks for the links–walking by Musical Offering occasionally to figure out when the Cafe Ohlone pop-ups were was not helping me figure anything out. Looks like there is one tomorrow from 1-3. 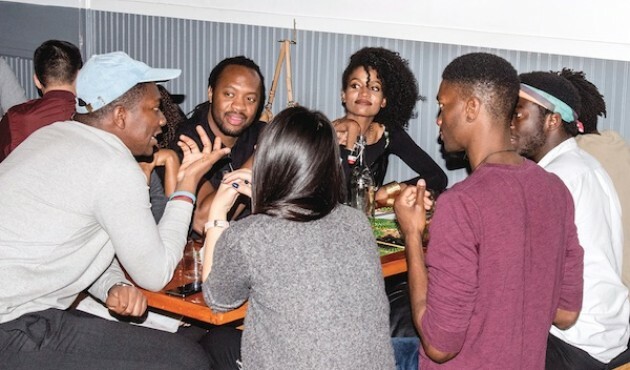 A SoMa pop-up shines a welcome light on Nigeria’s fiery, soulful cuisine. 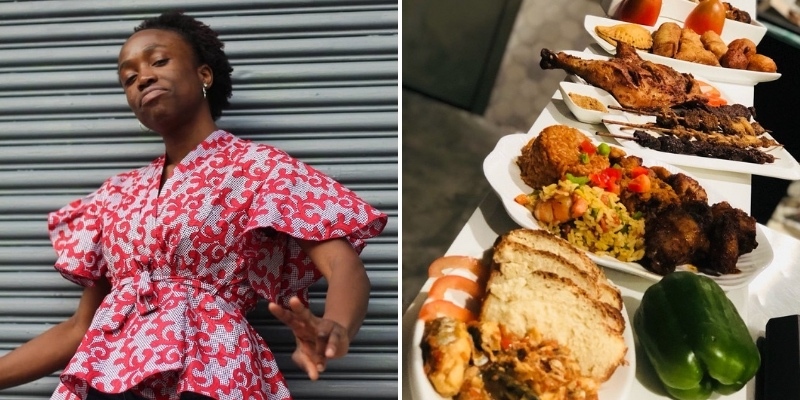 By any measure, Adebajo’s food is delicious enough to do justice to the recipes she learned by watching her aunts and grandmothers back in Nigeria, and interesting enough that any novice to the cuisine is likely to find delight in a new spectrum of flavors. At the November pop-up, there were puff-puffs, balls of savory fried dough, that Adebajo suggested we dip in a palm oil-based black hot sauce infused with a briny hit of crayfish powder—complex and near-impossible to stop eating, even as it set my tongue on fire. There was that pepper soup, as iconic a dish as there is in a Nigerian cook’s repertoire, the heat and subtle muskiness of which were ideal complements to some of the most tender goat meat you’ll ever encounter. And there was ayamase sauce, a savory, ginger-scented stew of green peppers and assorted beef parts, including tripe and skin, both cooked to uncommon softness, all served with a mound of tomato-tinged jollof rice. monthly pop-ups at SoMa’s Joint Venture Kitchen. I am completely mystified that a professional photographer like Jason LeCras took such appalling pictures for Luke’s article on Eko Kitchen. He obviously knows how to take pictures from the photos in his portfolio featured on his website. But yet, mysteriously, he chose to blast his flash directly at his subjects in the article, making the photos extremely unappetizing and unattractive. And he did the same in a picture of Brandon Jew on his website too. Also, I want to mention that though Greek food is listed as being well represented, few of these restaurants are authentic Greek eateries. 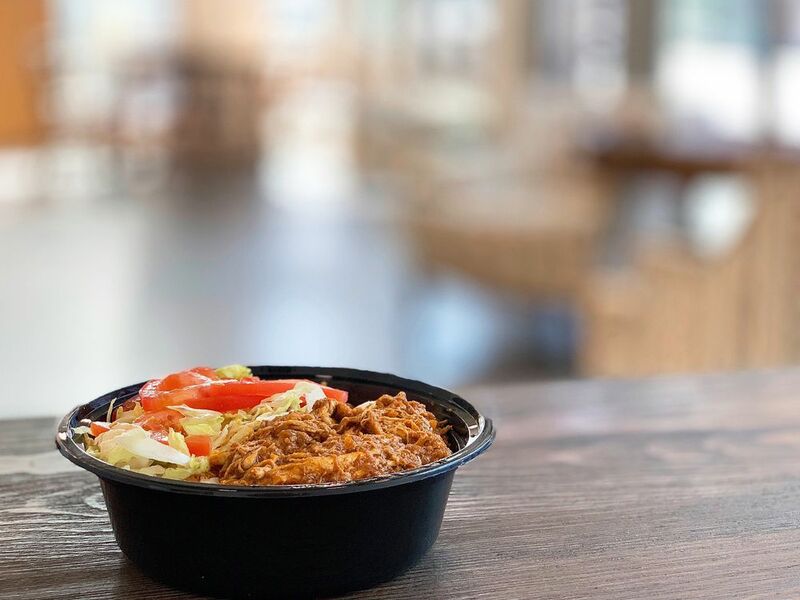 A rule of thumb is: if pork is on the menu, then it’s real Greek. Too bad that there are too many faux Greek places. I think its closed, however. Have you tried El Greco? I thought about going but never made it to Campbell last year. Sorry, I meant Falafel STOP. Same owner. I ate at El Greco multiple times: super authentic and scrumptious! Looks like Eko Kitchen is going permanent. She quit her job as a financial analyst to launch Eko Kitchen!